We’ve seen it before, BYD has had problems but the company hasn’t been negatively affected yet. 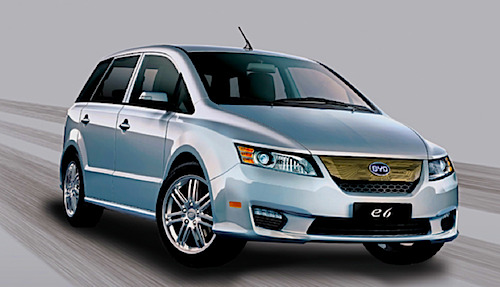 BYD is a car company who has had its fair share of problems. Its gasoline car have shown quality problems but with the powerful backing of the Chinese government, the electric cars the company has to offer won’t suffer much. Accidents Will Happen. The gasoline engine didn’t come without its fair share of problems. More than 150,000 gasoline cars go up in smoke a year. The steam engine also had its fair share of problems and it’s no surprise to see electric car makers are having theirs too. The news went ballistic when a gasoline car driving over 90 mph crashed into a BYD electric taxi in China. The outcome were disastrous, all three occupants died in a fire. Will this dent the company’s reputation? I think not. Chinese Government and Warren Buffett. When you have two powerful backers such as the Chinese government and Warren Buffett behind you, not a lot of things can go wrong. The Chinese government is eager to not only show its greener face by heavily pushing green technologies and its electric car project, but it also aims to curb down its wild, out of control pollution due to its uncontained economic growth. The government backing means public opinion won’t waver much, at least back home for BYD. But what about the West? If Warren Buffett plunks down money into a foreign, fairly new electric car company, then there must be something that works. Back West, all people will hear from BYD is that they have electric cars and sell them in China. Soon, these cars will hit our streets, initially for fleets, then consumers next year. Mid-American Energy, a Berkshire subsidiary owned by Warren Buffett has been looking for ways to store the energy it harvests from its wind farms in the Pacific Northwest. Battery storage capability is the key to storing energy and delivering at later times, when the winds die down. Finding a suitable battery storage solutions is key to profitability, something that drives the group to look for what could potentially work. Steps in BYD and its momentum forward. It sounds Warren Buffett sees something in BYD that makes sense and fits in the grander picture. It makes sense for investors to turn to alternative energy and storage solutions. After all, the demand is high and we are going in that direction anyway. Does it make sense for a American group of investors to pour so much into a Chinese company, already so invested with by the Chinese government? That remains to be seen. In the meantime, BYD is riding a great wave backed by local and international deep pockets.